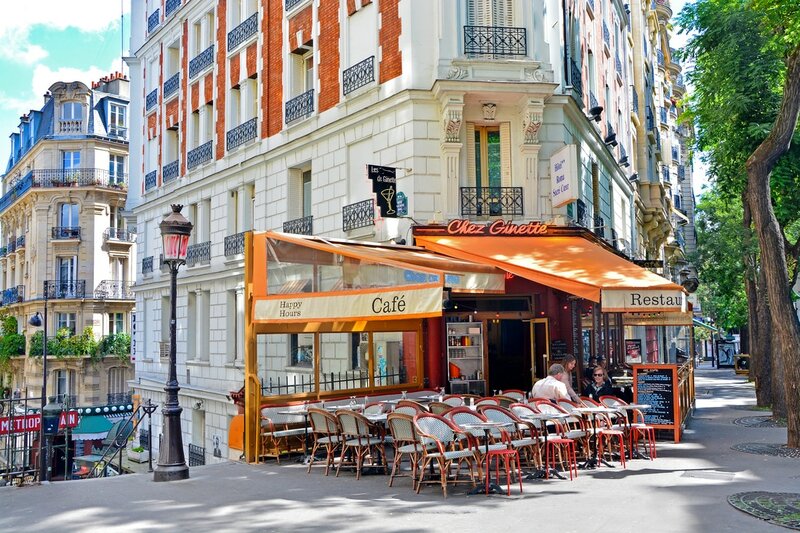 According to the public directory, pages jaunes (french yellow pages), Paris has 12,862 restaurants. Le Christine: It is a welcoming and charming traditional French restaurant, within 10 minutes walking distance. It is the most popular in our guest’s opinion. You will find here rustic chic décor of stonewalls and quirky art; a creative and yell-crafted bistro cuisine. Chez Fernand: In the ground floor of a stone building built in the 18th century, the three vaulted rooms with exposed beams are a real pleasure for those who love the traditional French cuisine with regional accents. Within 2 minutes walking distance from the hotel. Boucherie Roulière: Very excellent restaurant for meat lovers, nice and noisy ambiance, with “reasonable prices” for copious dishes. Within 2 minutes walking distance from the hotel. La Méditerranée: A 5-minute walk from the hotel, this classic French restaurant welcomes you with a charming décor with Cocteau drawings. Specialties of seafood; very excellent feedback. Vagenende: Typical elegant French brasserie opened for decades and that can welcome big groups on request. They have an assorted A la carte menu, with a choice of meats & fish. Aux Prés: With a long history, this restaurant has reopened in 2011 under the Chef Cyril Lignac. It is now a popular bistronomic restaurant, serving typical bistro-style cuisine, with French and foreign home products. Breizh Café: Fantastic creperie in the Latin Quarter that serves fantastic savory and sweet crepes. Most made with buckwheat flour and are darker in color than we typically see in the states. This is a tasty and casual spot with affordable food. Get here as early as possible as it fills up fast! Les Bouquinistes: 10 to 15 minutes away by walk, this bistro from the chef Guy Savoy is offering a new French cuisine and new flavors, with a nice view over the Seine river. Ze Kitchen Galerie: In this modern restaurant, the cuisine is artistic: pureed lentils with chestnuts, spice bread, sauteed noodles. There are also delicious surprise dishes that show up from time to time on the menu. The well-designed, contemporary décor gives a clear view of the kitchen, where you can see the creation of your meal in progress. Between a New York style gallery and ambient café. 10 to 15 minutes away by walk from the hotel. Bistrot Buci Mazarine: Formerly called Mange-Tout, this is Chef Alain Dutournier's restaurant. It offers a French refined cuisine, affordable prices and a great choice of wine. L’Arpège: Nearby the Invalides and the Musée Rodin (5 minutes away by taxi), the restaurant’s menu is devoted to the most unexpected flavors. This place is known for its superb cave. The specialty of this restaurant is vegetarian preparations. Market: Market, located on avenue Matignon, near the Champs-Elysée, is a fashionable restaurant offering, Asian-French cuisine. Chef Jean-Georges delivers inventive dishes using fresh market produce and original combinations of spices and seasonings. Les Ombres: This restaurant is located on the fifth floor of the Quai Branley museum (10 to 15 minutes away by taxi). Designed by Jean Nouvel, the décor plays on the effects of transparent glass, views of the Eiffel Tower, as well as the effect of shows and lights. Everything is made of raw materials, leather and wood, which explains the venues name, “The Shadow” or “Les Ombres”. Le Taillevent: Situated in the 8th district (10 to 15 minutes away by taxi), the discrete tradition, the sheen on the old wood paneling and the simple luxury of this exceptional, French fine-dining restaurant shows a whole different world from the showy fashionable excess found in many other establishments. Great classical cuisine, with a touch of the modern. The cellar is one of the most sumptuous and comprehensive in the world. L’Alcazar: Situated in the 6th district (5 to 10 minutes away by foot), a chic, fun and trendy brasserie designed by Sir Terence Conran, has replaced the old Alcazar cabaret. Under its glass roof, in a modern décor, you can dine in an elegant and festive lounge atmosphere with the best DJs of Paris. A warm welcome, attentive service and bare wood or white-clothed tables. Guillaume Lutard, a former chef of Taillevent, offers a range of fun fare - from seafood to classic French or English inspired dishes that suit a relaxed gourmet clientele.